Company agreements, labor laws, or trade union contracts can contain stipulations for additional payments for work on non-regular days, for example, work on Sundays or public holidays, shift work or overtime. Premium pay supplements the concept of time types with respect to how certain employee times are compensated. 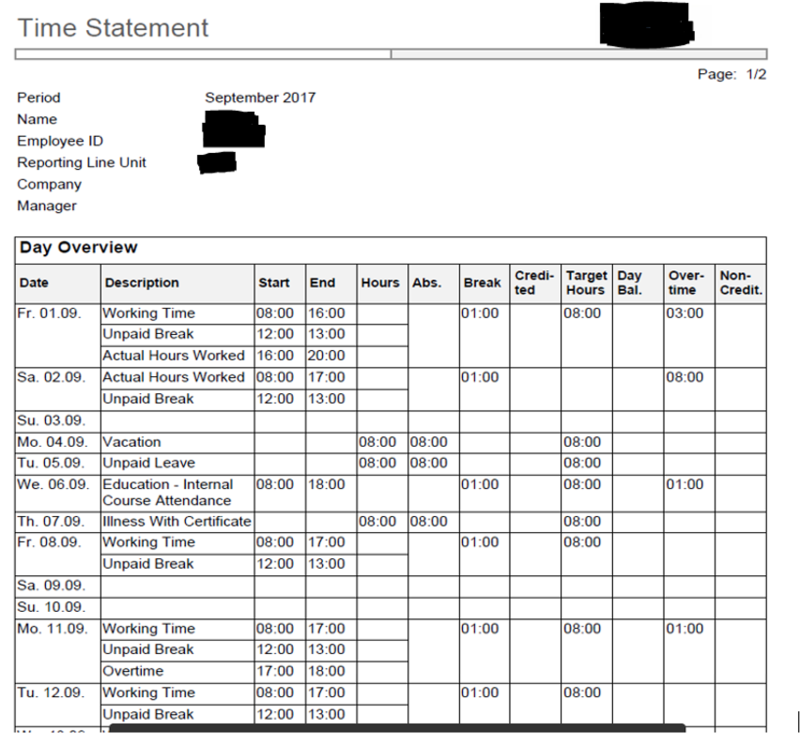 In the Employee Self-Services Overview of the Home work center, employees can display, review, and print a time statement containing details of their recorded times for a selected month, the balances of certain time accounts, and where relevant, daily postings to their working time accounts. Percentage allocation of how much the premium should be multiplied and allocated to employees Regular Time is: Checked – Employee Times filled with Premium Pay will auto credit in Working Time Account.Unchecked – Recorded Time with this Premium Pay is not sent to Working Time Account and only classified as Overtime. Set the threshold value which applies for the selected Premium Pay. Select Overtime Time Type and required Premium Pay which will then be allocated to the employee. Overtime Time Type can be taken from the Standard Time Types available in the system. This is to indicate, these are extra working hours of the employee. 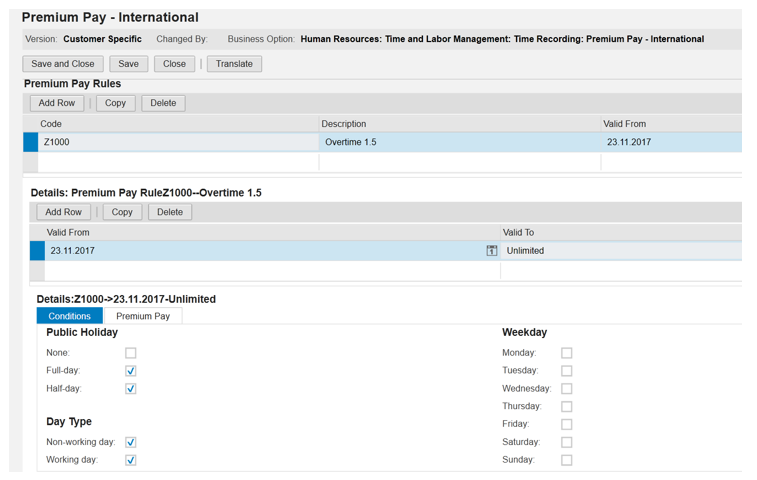 There are few cases where you have configured the Premium Pay in the system and updated the Overtime for an employee in the Timesheet, however you cannot find the details of Overtime in Time Statement. 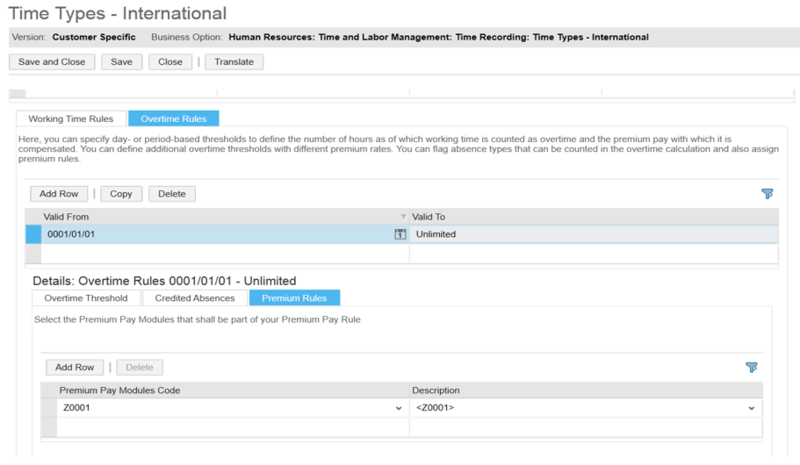 There are few cases to understand the pre-required Basic Premium Pay Rules settings in Business Configuration Activity to configure Overtime in the customer system. Note: Please refer Help Center Documents for Premium Pay Rules, Overtime and Time Statement in Business ByDesign System for more information on configuration guidelines.